You’d never know it from the accolades Playwrights Canada Press receives for the books it publishes, or from the talented artists and writers who choose to work with the press, but Playwrights is helmed by only three people. As is the case for so many small presses, everyone has to wear several hats, not the least Blake Sproule, who serves as Playwrights’ managing editor as well as digital director. Playwrights needed a website that could bring efficiency to daily operations and end the tedious task of repeating ONIX processes for different platforms, a duplication of work that can eat up priceless staff hours. But that wasn’t all they were looking for. We sat down with the Playwrights Canada team to talk about what they were looking for in a website and how ReaderBound is helping them to achieve their business goals. 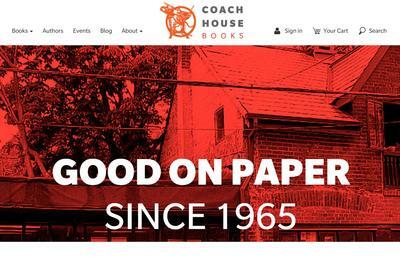 With 50 percent of book discovery happening online, and nearly half of all purchases taking place via e-commerce, book publishers require solid and secure websites that not only attract readers and book buyers, but that can also be relied upon day in and day out for promotions, reader engagement, and sales. A website outage -- even a short one -- can be disastrous. 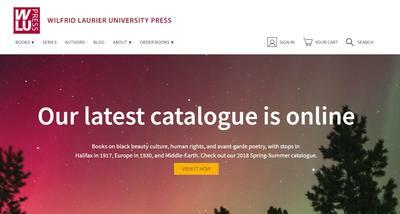 As the fourth largest university press in Canada, Wilfrid Laurier University Press (WLUP) has been publishing scholarly monograms and collections, mainly in the area of social sciences and humanities, since 1974. The press currently publishes 30 to 40 books per year -- an ambitious publishing program for a small team. This was a big factor in WLUP’s requirement for a website that was reliable, easy to update and maintain, and that provided lots of automated features to minimize the demand on staff time.